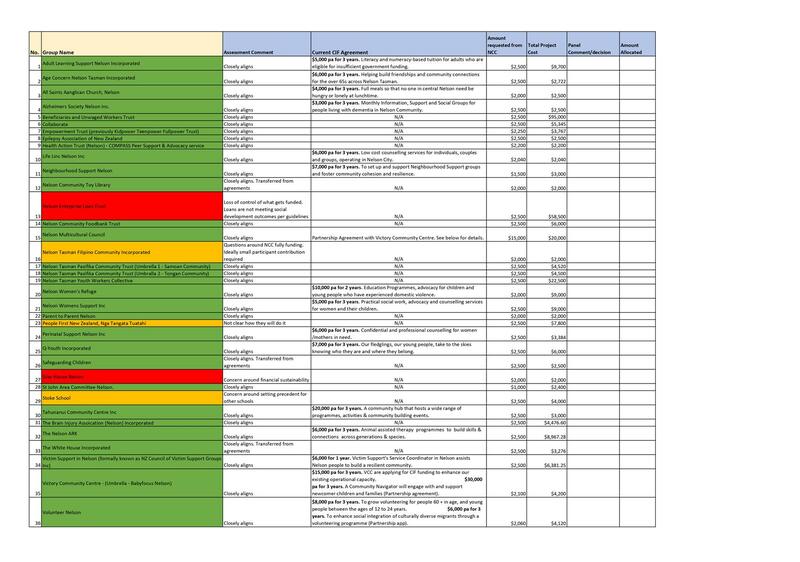 Confirms the minutes of the meeting of the Community Investment Funding Panel, held on 29 June 2018, as a true and correct record. 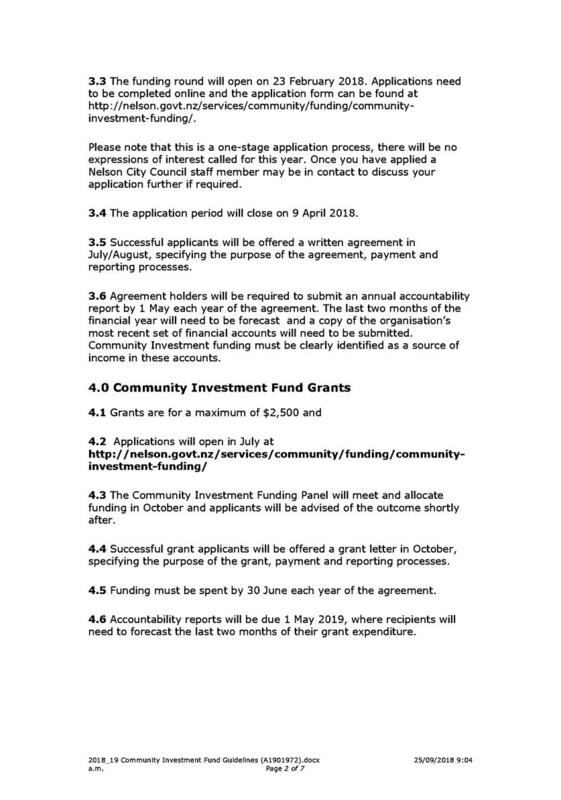 Receives the report 2018/19 Community Investment Fund Grant Allocation Additional Information (R9730) and its attachments (A2059246, A1901972). 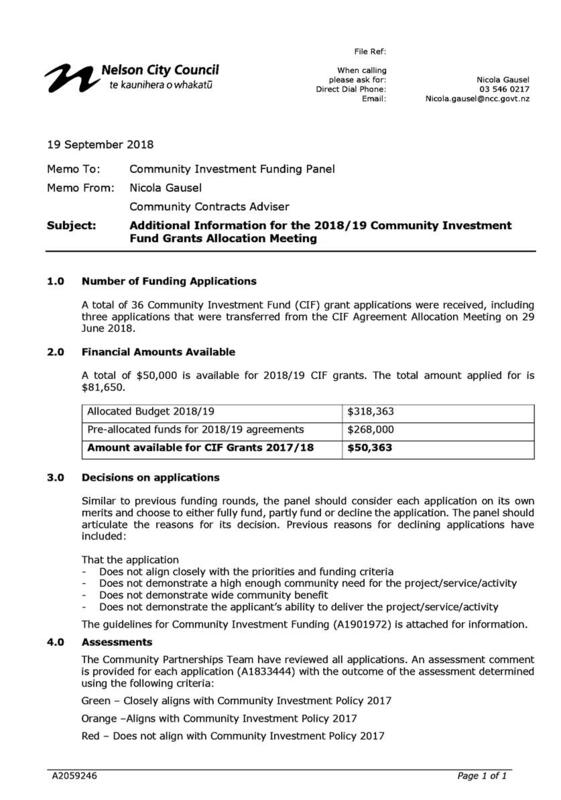 Approves funding for the Community Investment Fund agreement applications as agreed at this meeting and as listed on Attachment A1833444. On Friday 29 June 2018, commencing at 9.39a.m. Present: Members R Ball (Chairperson), G Thomas, R Saunders, S Hawthorne, K Steele and Co-opted member Hannah Johnson. Receives and accepts the apologies from Co-opted Member Anna Fay for attendance. 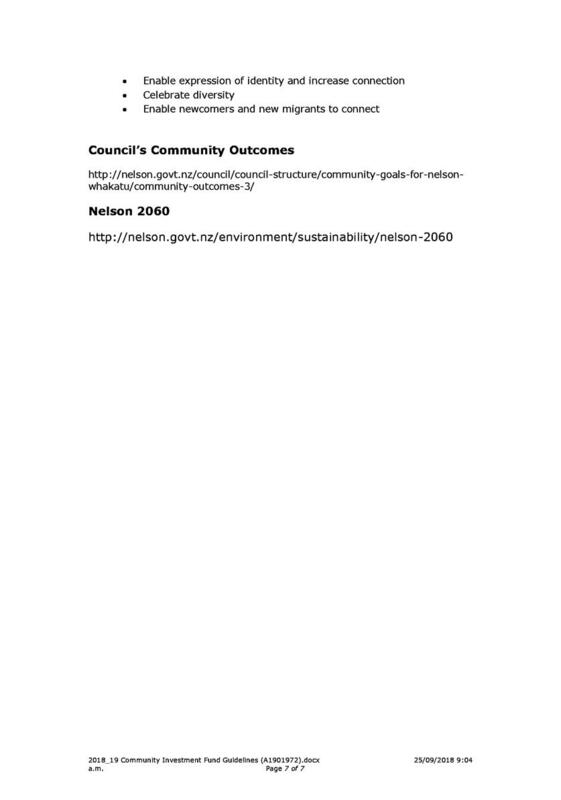 · Graeme Thomas – 7.7 - Citizens Advice Bureau Nelson. 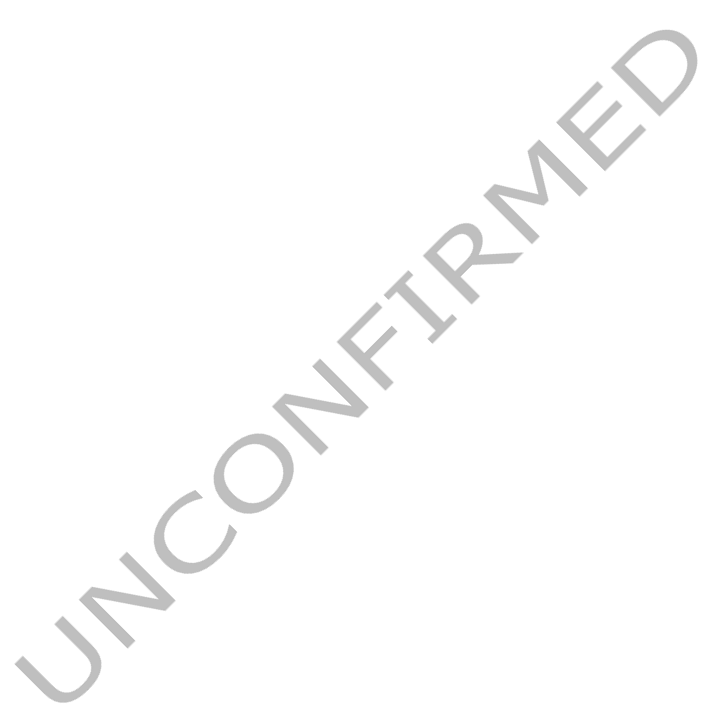 Document number M2980, agenda pages 5 - 17 refer. 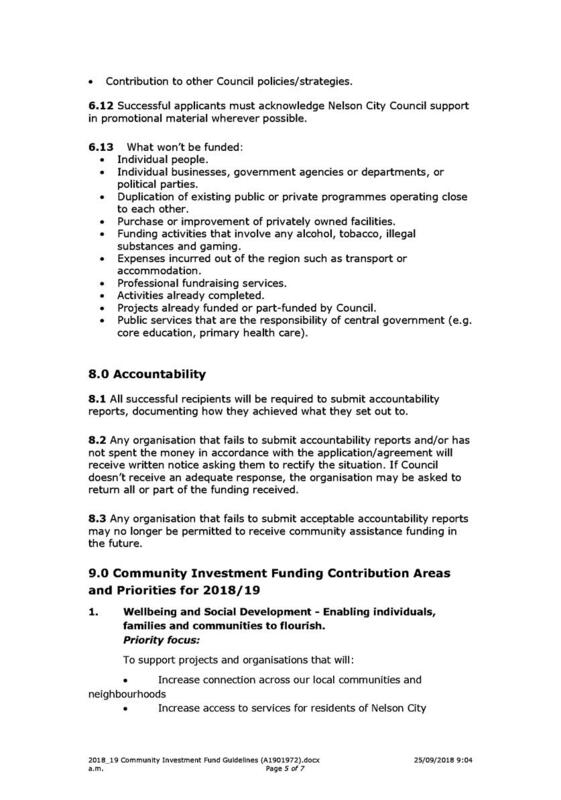 Confirms the minutes of the meeting of the Community Investment Funding Panel, held on 4 October 2017, as a true and correct record. Document number R9436, agenda pages 18 - 35 refer. Community Contracts Advisor, Nicola Gausel, presented an overview of applications and noted the total fund for disbursement was $268,636. 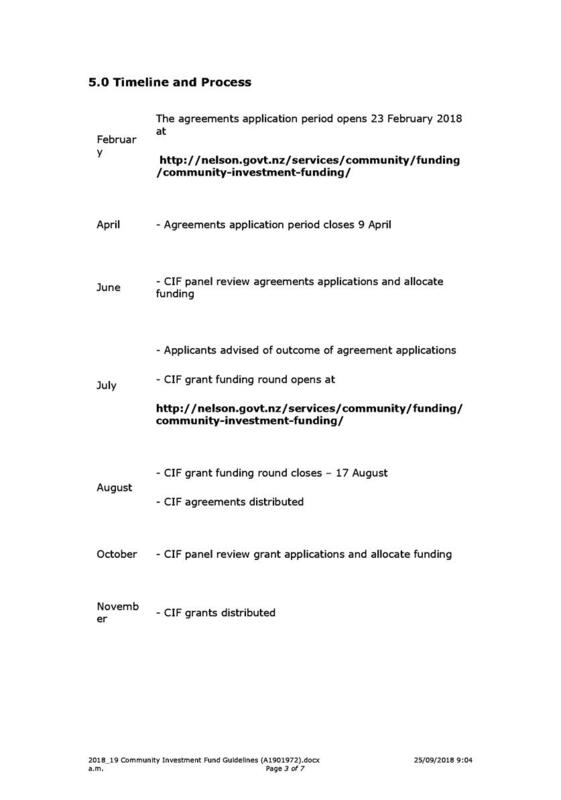 Refers applications from Nelson Community Toy Library, Safeguarding Children and White House to the 2018/19 Community Investment Funding Panel small grant funding round. Katy Steele had declared an interest in Items 7.1 and 7.2 and left the meeting at 9.59 a.m.
Literacy and numeracy-based tuition for adults who are eligible for insufficient government funding. Helping build friendships and community connections for the over 65s across Nelson Tasman. Katy Steele returned to the meeting at 10.04a.m. Full meals so that no one in central Nelson need be hungry or lonely at lunchtime. Monthly information, supports and social groups for people living with dementia in the Nelson Community. Rachel Saunders had declared an interest in Item 7.6 and left the meeting at 10.14a.m. Recruitment, training, supervision and support of volunteer mentors, young people and their families. Rachel Saunders returned to the meeting at 10.17a.m. Graeme Thomas had declared an interest in Item 7.7 and left the meeting at 10.17 a.m.
Wages, telephone, internet and general office expenses. Graeme Thomas returned to the meeting at 10.19a.m. Providing and staffing a creative space. One day Hui/workshop open to its foster caregivers and professionals. Low cost counselling services for individuals, couples and groups operating in Nelson City. Exploring options for homeless men to gain shelter and to best access services. To set up and support Neighbourhood Support groups and foster community cohesion and resilience. Funding for the choir’s venue, conductor and accompanist fees. Susan Hawthorne had declared an interest in item 7.14 and left the meeting at 10.38a.m. Administrative funding support for NELT. The meeting was adjourned at 10.39a.m. and reconvened at 10.51a.m., at which time Susan Hawthorne returned to the meeting. Kai Rescue has diverted over 80 tonnes of edible food to those needing food, via existing charities. To understand and implement the concepts and dimensions involved in intercultural communication. A Community Navigator to engage with and support newcomer children and families. Katy Steele had declared an interest in item 7.18 and left the meeting at 11.13a.m. To provide housing advice for people in need, and build accurate data on local housing needs. To devise a business case for NTHT, HNZC and NCC partnership to regenerate Stoke Orchard housing estate. Katy Steele returned to the meeting at 11.14a.m. Establishing the Reliance Building as a MenzShed base for workshop, social and wellbeing activities. Education Programmes, advocacy for children and young people who have experienced domestic violence. Practical social work, advocacy and counselling services for women and their children. Confidential and professional counselling for women/mothers in need. Our fledglings, our young people, take to the skies knowing who they are and where they belong. PEPE provides information about parenting during the different stages of a child’s early development. Supporting people in need through one-to-one support, practical help and connecting them with others. To increase safety for young people addressing youth violence and anger for 10 – 17 year olds. A community hub that hosts a wide range of programmes, activities and community building events. Animal assisted therapy programmes to build skills and connections across generations and species. Recruitment, training and supporting foster parents, who care for vulnerable children. To provide a special meal and entertainment for the elderly in our community. 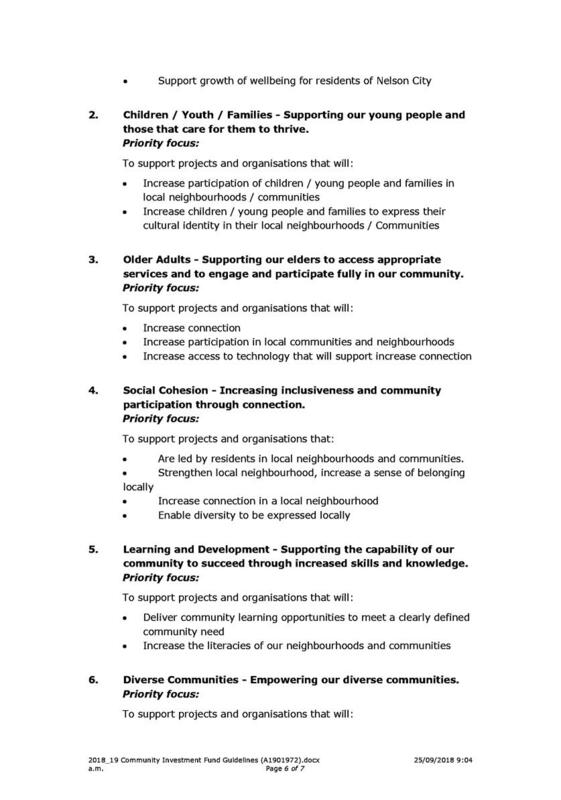 Programmes to engage, express and empower the community on six key obstacles to personal well-being. Victim Support’s Service Coordinator in Nelson assists Nelson people to build a resilient community. To enhance its existing operational capacity. Katy Steele had declared an interest in item 7.35 and left the meeting at 11.46a.m. To enhance social integration of culturally diverse migrants through a volunteering programme. To grow volunteering for people 60+ in age, and young people between the ages of 12 to 24 years. Katy Steele returned to the meeting at 11.55a.m. To work within Nelson community yet FOCUSING on STOKE to give education/support to empower whanau. To empower and enable young people living in Stoke. Tailored opportunities for Nelson youth to access a range of outdoor recreation adventure programmes. Taking people on canoe journeys into Nelson’s stunning environment as a means of adventure therapy. Document number R9439, agenda pages 36 - 91 refer. 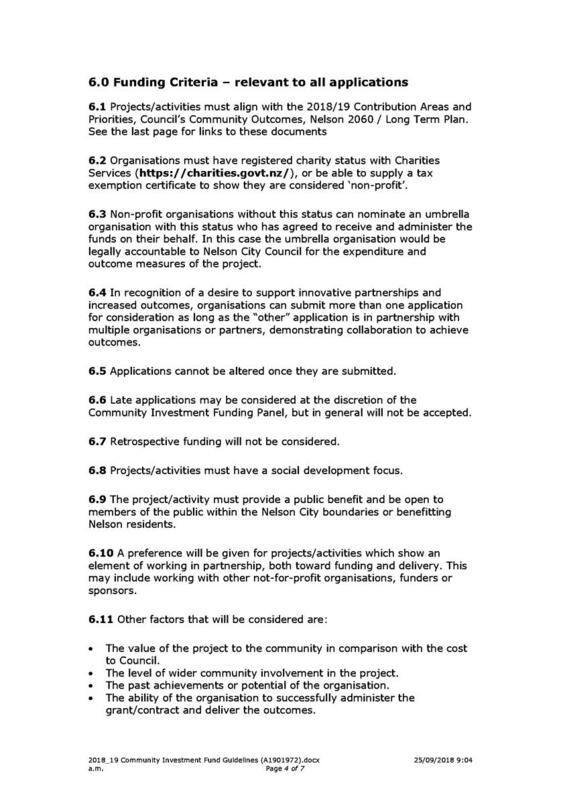 Approves funding for the Community Investment Fund applications as agreed at this meeting, from applications contained in (A1854528). There being no further business the meeting ended at 12.35p.m. 1.1 To provide additional information to the Community Investment Funding Panel. 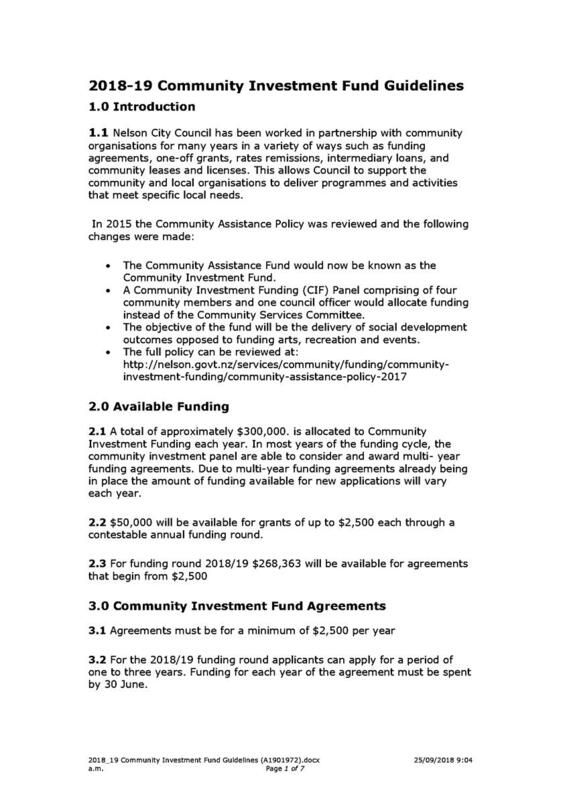 1.1 To allocate the Community Investment Funding grants for 2018/19.